In its fifth weekend of release (16-18 March 2018), Marvel Studios’ Black Panther became the all-time top-grossing film in South Africa, with a haul of over R77.6 million since it’s 16 February 2018 release. 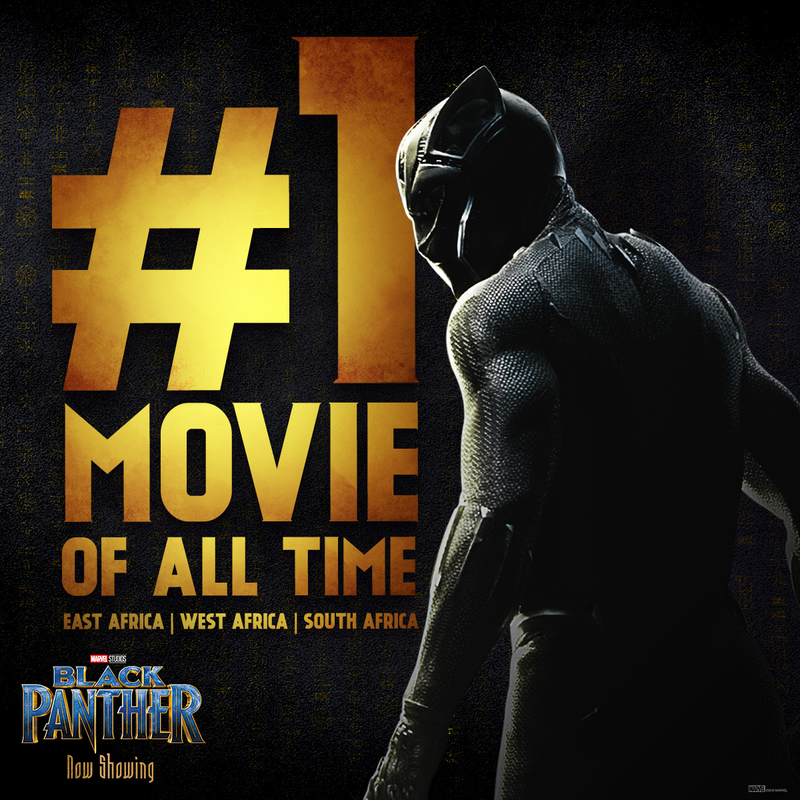 This record means that South Africa joins East and West Africa in claiming Black Panther as the highest grossing film of all time in these regions. Marvel Studios’ Black Panther follows T’Challa who, after the death of his father, the King of Wakanda, returns home to the isolated, technologically advanced African nation to succeed to the throne and take his rightful place as king. But when a powerful old enemy reappears, T’Challa’s mettle as king—and Black Panther—is tested when he is drawn into a formidable conflict that puts the fate of Wakanda and the entire world at risk. Faced with treachery and danger, the young king must rally his allies and release the full power of Black Panther to defeat his foes and secure the safety of his people and their way of life. Black Panther stars Chadwick Boseman, Michael B. Jordan, Lupita Nyong’o, Danai Gurira, Martin Freeman, Daniel Kaluuya, Letitia Wright, Winston Duke, with Angela Bassett, with Forest Whitaker, and Andy Serkis. The film is directed by Ryan Coogler and produced by Kevin Feige with Louis D’Esposito, Victoria Alonso, Nate Moore, Jeffrey Chernov and Stan Lee serving as executive producers. Ryan Coogler & Joe Robert Cole wrote the screenplay. Marvel Studios’ Black Panther is now in cinemas now. I still have to add my cents to those Rands as I am not able to watch this movie till date and that's really disheartening for me whereas last year I watched many others Superhero movies in the very first weeks other than Wonder Woman which was kind of sold out in all cinemas and was not invited as part of launch events. By the time I will watch the movie, North Africa will also have added some monetary value to The House of Wakanda.